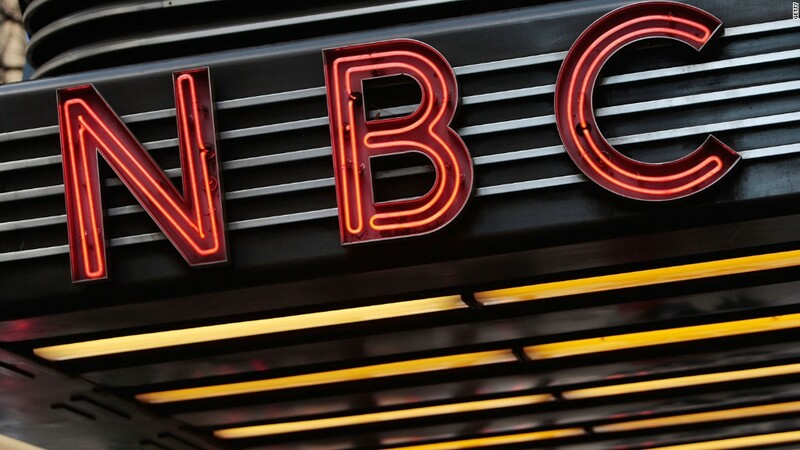 Disarray at NBC News: What's next? Here's a metaphor for the disarray inside NBC News: Last weekend, workers at NBC's Rockefeller Center headquarters briefly wiped away promotional photos of Brian Williams. They removed the photos from a wall and painted over the words under them: "He's been there, he'll be there" -- a tagline for a celebration of Williams' 10th anniversary on the "NBC Nightly News." The next day the workers returned and put the pictures back up. But NBC employees were already buzzing with gossip. The official word was that the temporary exhibit had been accidentally taken down two weeks early, and that's why it was restored. The unofficial response was ... more sarcastic. No one knows what's next for NBC News, and that's why even the walls are being studied for clues. Friday's big shakeup -- Andy Lack replacing Pat Fili-Krushel as the chairman of NBC News -- is a clear sign of corporate dissatisfaction with the news division. Lack's challenges start at "Nightly News" but don't end there. He has to restore confidence in the news division, improve morale among the rank-and-file, and regain ratings momentum at the network's most important news asset, the "Today" show. Lack, now 67, led the news division to greatness as its president in the 1990s. But the news industry has been flipped on its head since then, thanks to the Internet and smart phones. After being introduced as the new chairman at an NBC staff meeting on Friday morning, he made a throwback joke: "How many hours is 'Dateline' on now?" Expanding the newsmagazine franchise was a top achievement two decades ago, but it's not the answer now. On Sunday, New York magazine published a much-anticipated story about what it called "chaos" within the news division. "The trouble didn't start with Brian Williams," the tagline to the story said. "Over the past year," reporter Gabriel Sherman wrote, "all of the NBC News marquee franchises -- 'Today,' 'Meet the Press,' 'Nightly News' -- have been badly damaged by bungled talent decisions and control-room shakeups. Taken together, the upheavals portray a news division that has allowed talent to take over." The magazine quoted a senior NBC executive as saying "there's no adult supervision," despite the fact that NBCUniversal CEO Steve Burke put Fili-Krushel in charge back in 2012 to be "adult supervision." Separately, a lengthy Business Insider story listed a number of insider complaints about Fili-Krushel earlier this week. Fili-Krushel has not said anything publicly about Williams or herself. On Friday, Burke said Fili-Krushel "will move into a new role on my executive team" once Lack takes over in April. NBC News president Deborah Turness remains in place, but her role will be "substantially diminished" with Lack in charge, Sherman wrote. In the coming months, Lack and Burke will have to make what will likely be their most high-profile decision: whether to let Williams return to "Nightly News." At the moment, Williams remains determined to mount a comeback. Sherman quotes a close friend as saying, "He can't wait until he can speak. He's just anxious to get back to work. And he can't wait to respond." Lack and Williams have been friendly for decades, and Sherman reports that when NBC was deciding how to handle the controversy about Williams' embellishments, "Lack called Burke and asked him to spare Williams with a short suspension." Some executives in the TV industry believe Lack will stand by Williams and seek to rehabilitate the anchor when the six-month suspension period is up in August. Others, however, are not so sure. They cite internal anger at Williams and the inherent risk in bringing him back. And they speculate that Lack's ability to talk frankly with Williams -- friend-to-friend -- could ease the transition from Williams to another anchor, like Lester Holt, who is currently filling in. On CNN's "Reliable Sources," former CBS News president Andrew Heyward said much the same thing a senior NBC source said to me earlier on Sunday morning: that Williams' fate is ultimately a business calculation, and ultimately up to Burke. "It's going to be a decision that has the interest of NBC News and, not to sound too corny, the American public at heart," Heyward said. "It's not going to be based on friendship or anything like that. It's going to be a business-like decision based on whatever facts are on the ground at the time, including the review that NBC is still doing."